There is no surefire way to winning because you will never know if someone can steal your chances, especially at an auction. In the Philippines, cars, trucks, and even houses, are the usual properties up for bidding at these sales. If you are new to this type of industry, you should know that it is granted that you cannot have a shortcut to help you win at an auction but there are a few tips and tricks to up your bidding game. Check them out here! Inspecting the items that you want to bid for would make all the difference in the way you go through with the auction. Attending the preview will allow you to see the products up close. This would be wise because relying on the auction catalog can spell trouble for you. Make sure that it is not damaged and the contents’ specifications is actually what it says on the paper. Auctions require you to be mindful of your momentum, be quick on your feet to secure your purchase. It is all about outsmarting the opponent by placing strategic bids so you would know that have the upper hand in winning the auction. Securing your purchase is all about making sure that you get your hands on a particular item or property because if you don’t, what’s the point of joining an auction, anyway? It is easy to be overwhelmed during an auction but focus on being calm. Many people would think that this shouldn’t be a problem but your disposition and composure contributes to the way you handle your winning game during an auction. It is important to be quick on your feet but remaining calm would allow you to think clearly and plan out your next move. Your composure will help you kick out the competition in a way that he or she will never see coming. Setting your crosshairs on a product that you want is easy but guarding it is another matter. Respect other’s preferences but be sure that you protect what you want. When you find the best deal, it will keep you motivated to secure it for yourself. Do not hesitate to guard your cherished product will all your might because this can help you stay confident in participating in an auction. It is okay to ask for help every once in a while especially when you are just a beginner in the world of products and car auctions in the Philippines. Any auctioneer will tell you that participating in one is similar to playing a sport. There will be winners and losers. The goal is to be on the side of the winners but accepting that there is also the possibility to be a loser. Seasoned auctioneers will know what to do to secure your deal and if you really want to up your auction game, you can allow them to coach you as you go along. Auctions are a fun way to receive the best deals there is. 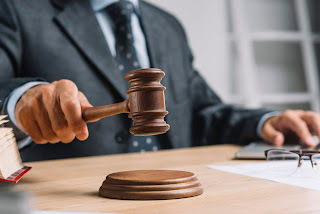 If you are a new to the industry and you would like to be a good auctioneer, then read up on these tips any chance you get. Let this serve as a reminder when you want to get ahead of your competition in an auction near you.